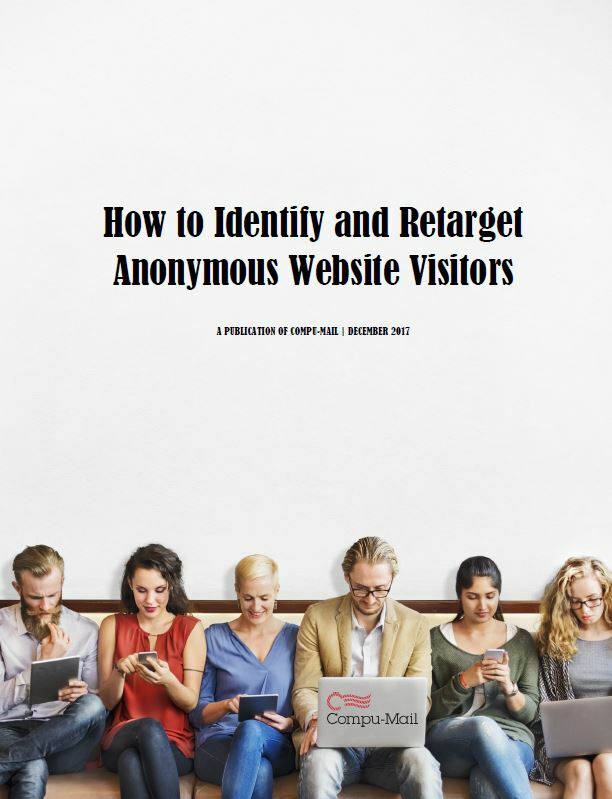 Featured Download: "How to Identify and Retarget Anonymous Website Visitors"
Visitors will bounce for a variety of reasons, many that have nothing to do with their interest in your brand. This white paper explores how to capture an anonymous prospective customer’s interest and trigger retargeting efforts through digital, email and direct mail. Our goal is to help you discover the right technology that can help capture that prospective customer’s interest and trigger a retargeting effort through a variety of media. People are becoming busier every day and more torn with distractions. A marketer’s job of timing their communication with the right message at exactly the right moment in time when a consumer is ready to act is getting more and more difficult. If a visitor comes to your website but leaves without identifying themselves, it the engagement over? Is the lead gone without ever knowing who they were or what peaked their interest in the first place? Download the eBook to keep reading!